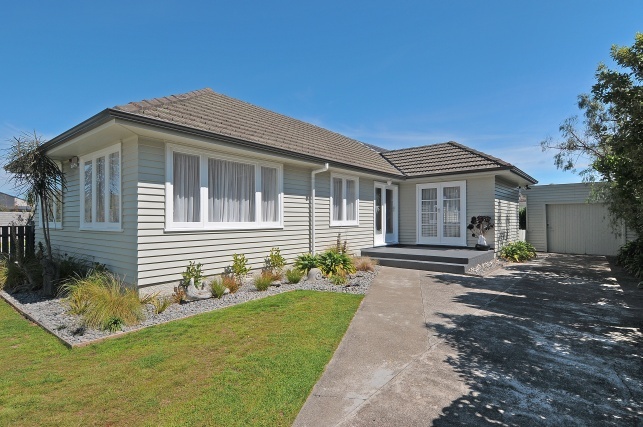 For the past nine and a half years, 12 Moana Grove in Lower Hutt has been our ‘Little House on the Prairie’. This is where our girls grew up and where they had many sleepovers. This is where we hosted many BBQ’s in the sun-drenched back garden, held weekly bible study groups and spent many hours in fellowship and conversation often deep into the night. We worked solidly on the house over the past nine years completely renovating throughout, building an extension and a new garage. We stamped our personality and our flavour throughout the house. On June 17, 2011 we moved out. It was tough initially. Our girls, especially, struggled and found the first week after we moved out hard. They wanted back in to the house they knew and called home. One truth we held firm to during this emotional time was that the house belonged to the Lord (Psalm 24:1) as did the gardens we cultivated and the lawns that we mowed. We then considered ourselves privileged to have been given the opportunity to occupy the house, to tend to it and to maintain it for the nine years we were there. The Lord has blessed us immensely with this time and the memories that we now have. Now for the next adventure. We can’t wait to see what the Lord has in store for us now.